Mics: Assorted Sennheiser – 602II, 914, 906 and others. 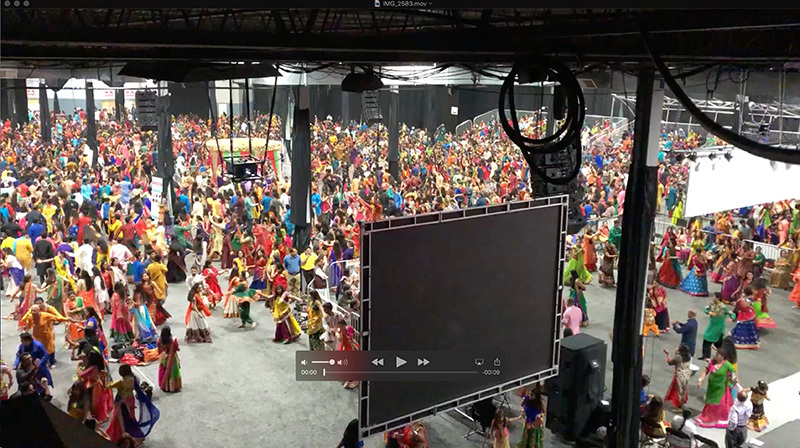 The Navratri Garba Mahotsav staged in Edison, NJ Oct. 5-6 was a Hindu festival staged during the Tamil month of Purattasi, from Sept. 17-Oct. 17. The festivities typically include decorations, spoken-word recitations of the legends, re-enactments of the stories, scriptural chanting and Garba dancing.